It’s easy to imagine what benefits a mobile application can bring to an ecommerce business. However, the advantages of offline-first web and mobile apps are not so obvious. In this article we tell you how to attract customers to your brick-and-mortar stores and how to optimize your employees’ work with the help of mobile technology. Some people believe that offline retail is dying as online shopping shows rapid growth all around the world. Many people, especially in younger generations, prefer to shop online. According to statistics, 51% of all Americans prefer to shop online, and this percentage is even higher for millennials (67%). However, this doesn’t mean that brick-and-mortar stores are becoming a thing of the past: most retail business owners still rely on offline shops, and 94% of all retail sales in the US take place offline. Many people go to stores because they appreciate the opportunity to take the product home immediately. The most important reason people do shopping in brick-and-mortar stores is the ability to touch, test, and see the product they’re going to buy, according to Retail Dive. And actually, many people go to stores to look at a product before purchasing the same product online. Research by Business.com shows that two-thirds of all offline shoppers check prices on their mobile phones before going to the shop. Also, some people really like to get consultations from sales representatives and try clothes on before buying them or don’t like to pay extra for shipping. Moreover, many customers appreciate the ability to take the product home immediately without having to wait for delivery. When it comes to buying food and groceries, most people prefer to shop in brick-and-mortar supermarkets and shops. 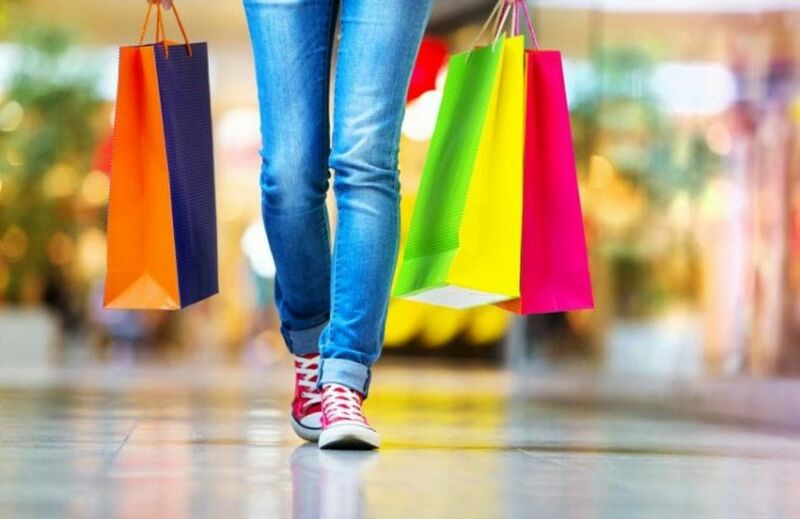 In our opinion, to meet the needs of 100% of your customers and maximize your sales, you should offer both online and offline stores for shopping and make the experience in them as similar as possible. But also, you can do even more than that and make technology a part of your offline selling strategy. How? Use a mobile app for retail business! 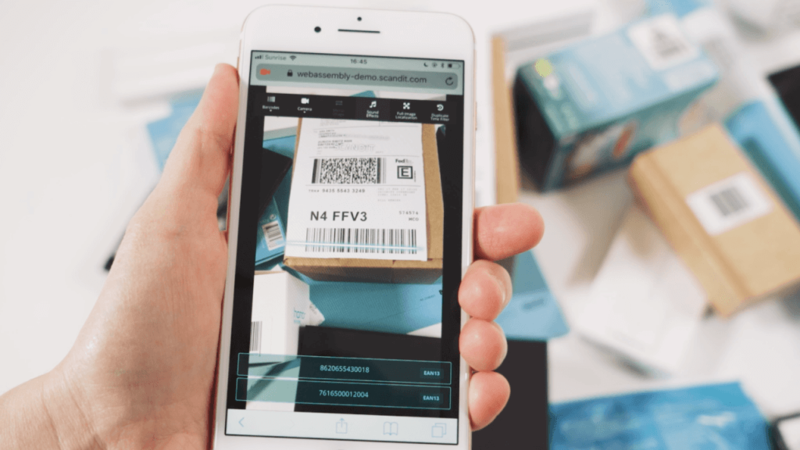 If you already have an ecommerce mobile application, adding functionality that works together with your physical store is a great idea. 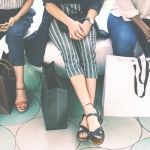 An app can serve as an extremely powerful marketing tool and will also make you unique, as few retailers currently offer functionality designed for physical stores. While mobile applications are usually associated with online sales, they can be an amazing way to support your offline sales as well. An enterprise offline retail app can provide new and more effective ways to market your products and return customers to your offline stores. With the help of a mobile solution, you can make shopping more convenient. As a result you’ll gain customer loyalty, which will lead to increased sales. 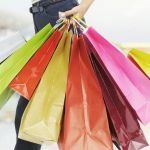 All of this will help you enhance the shopping experience and enable users to get more personalized offers and discounts. Push notifications can help return your customers to shops and encourage them to buy products from you. Now let’s talk more about the features you can add to your mobile application for offline retail and the ways you can use them to modernize your retail business. Personal customers profiles in your retail shop are where your users will share information with you and store data about their bonuses. Carrying bonus cards in wallets isn’t convenient, as there are lots of retailers that offer discount, bonus, and loyalty programs. You can make your customers’ lives much easier if you let them check their bonuses on their device and use them in your brick-and-mortar stores. A feed is where you can share news about discounts, new shops, or anything else of an interest. Make sure the information in your feed is updated frequently and is tailored according to your customers’ preferences. You can use big data to collect information about your customers: for example, what they usually buy and when they go shopping. Personalize feeds and offer discounts that are the most useful for your customers. For example, if you know from a customer’s profile that they have a child, offering discounts for baby products will definitely be appreciated. Notifications are the best way to reach your customers. The open rate for notifications is higher than for SMS or emails, so you can inform your clients about discounts more effectively. Not only can you get your customers to visit your store to get a discount, you can also use push notifications to return your customers to your app and offer app-only discounts. Your customers will enjoy being the first to know about the best deals. Instead of trying to make out what ingredients are listed on the label, it’s much easier to just use a barcode scanner and read all the information on your device’s screen. Barcodes can tell customers more information about products and can help prevent them from buying food with ingredients they want to avoid. Imagine that a customer has allergies, for example. They could simply scan a barcode and the application could warn them if a product contains an ingredient they can’t have. Barcode scanners save lots of time and make choosing products easier and more pleasant. 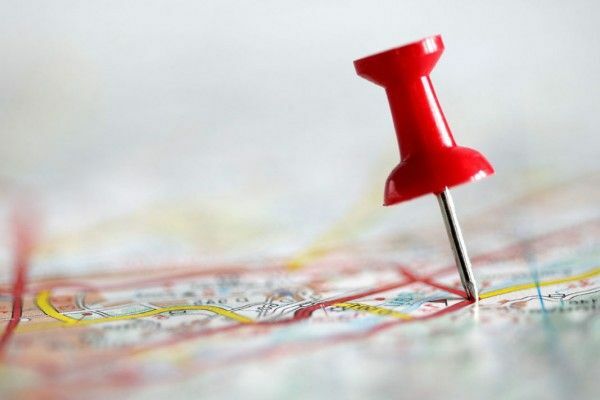 If you have multiple stores around the city or country, geolocation can help users locate them easily and find the nearest one. You just need to customize the map you integrate into your mobile app, for example by making custom pins with your shop’s logo. You can add another functions that allow your users to find routes to the nearest store or track deliveries in real time. Maps have lots of capabilities that may suit your business model. Don’t forget to add information about the hours of operation for your shops or supermarkets. This information always has to be up-to-date and reflect any changes. You can show working hours on a map when customers pick a shop. Getting feedback from your customers is important if you want to stand out from the crowd and get a reputation as a retailer that provides great customer service. Allow your users to leave reviews and express their opinions on how you’re doing. This will allow you to see your shortcomings and fix them effectively. Also, if you react to negative comments you’ll show that your customers’ opinions really matter. It’s annoying when you need to spend time standing in a line at the supermarket, but you can help your customers avoid this. 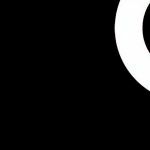 Although contactless payments with mobile phones haven’t yet seen mass adoption, they likely will soon. 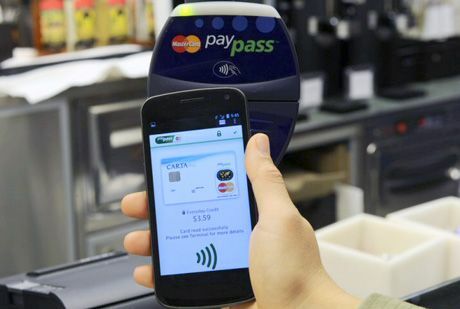 Apple continues to enhance Apple Pay, as they believe it will soon become commonplace. Amazon is building their first cashier-less convenience stores, and we believe that this is a great feature to consider in your offline shops. You can use Apple Pay or NFC payments to implement contactless payments in your shop. From week to week, our shopping carts don’t change much when it comes to groceries. 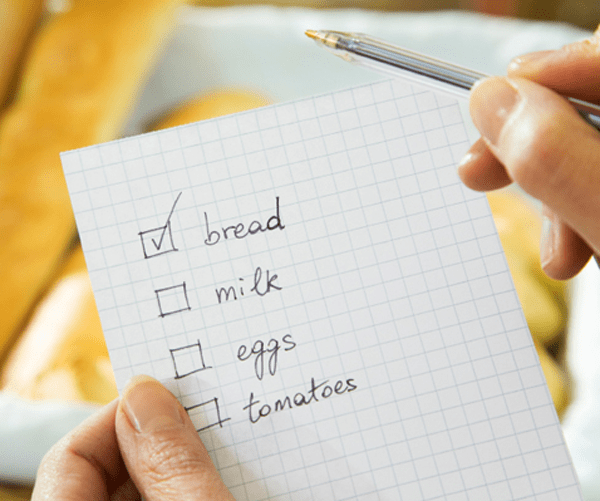 Making up a new shopping list that looks almost the same as your previous isn’t convenient, and though there are other mobile apps that can help with this, customers love to have everything in one place. You can add a shopping list feature to your mobile app for offline retail business. This will allow you to know more about your customers’ shopping habits and tailor your marketing strategy according to their personal needs. Augmented reality is one of the hottest topics in the modern tech world, and it’s getting lots of attention from all kinds of industries, from gaming to construction. Retail is no exception. 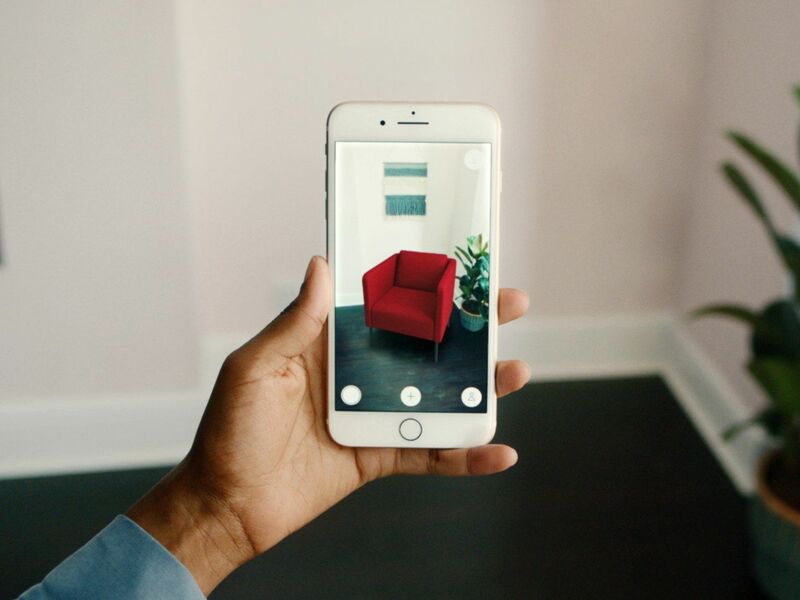 IKEA has already implemented augmented reality into its retail mobile app. IKEA’s mobile solution allows customers to see how furniture will look in their house or flat. You can come up with all kinds of creative ideas for using AR in your mobile app. For example, you can add a gamification element and ask your users to complete quests. Also, you can give more valuable information about products or just provide unforgettable experiences by using this trendy and engaging technology. As you can see, mobile app for offline retail business can be beneficial not only for your online shopping platform but also for your physical shops. 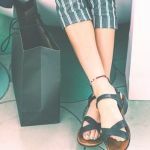 An app can make the shopping experience better and meet the needs of people who like to go to brick-and-mortar shops rather than shop online. If you want a mobile app for your offline retail business, contact Mobindustry right away. We have experience developing great mobile applications for retail, so we can help you build a mobile app and define your mobile marketing strategy.